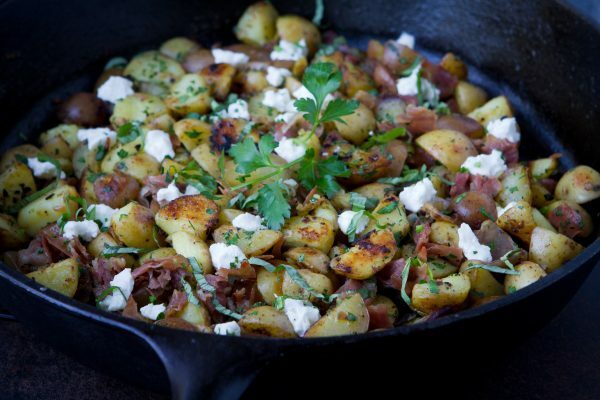 This healthy potato hash with prosciutto and goat cheese is a breeze to make. The perfect option for brunch! Cut the potatoes into quarters. 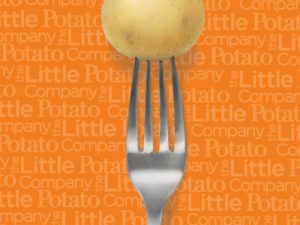 If using larger Creamer potatoes, cut into sixths. Place the potatoes in a large sauce and cover with cold water by one inch. 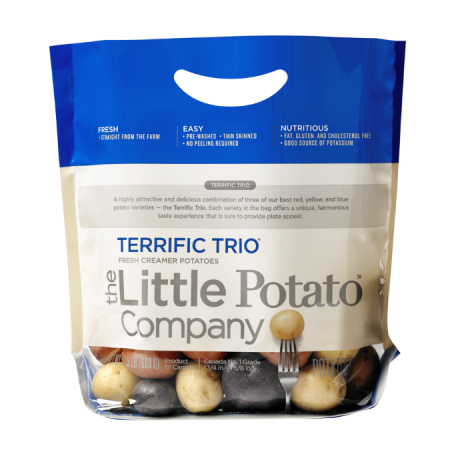 Bring to a boil and cook until the potatoes are just tender, 8 to 10 minutes. Drain. Heat 2 teaspoons olive oil in a large skillet (preferably cast iron) set over medium heat. Add the prosciutto and shallots. Cook, stirring frequently, until the prosciutto is starting to brown. Transfer the shallots and prosciutto to a bowl. Set aside. Increase the heat to medium-high. Heat the remaining 1 tablespoon plus one teaspoon olive in the skillet. Add the potatoes and stir to coat with the oil. Season with salt and pepper. Cook, stirring occasionally, until the potatoes are browned and cooked through, about 10 minutes. Remove from the heat and stir in the goat cheese, cooked prosciutto and shallots, and the parsley. Garnish with basil. Serve.